Virgin Media has revealed that it will block file-sharing site Newzbin2, after finally being ordered to by a court. This marks the end of what was a long and protracted legal tussle between the MPAA and ISPs in the UK, which started with the High Court issuing an order to BT back in 2011 to block the Usenet site. Although this order was just for BT, it was inevitable the courts would contact the other major ISPs and slowly but surely they complied. Sky began blocking Newzbin2 in December 2011, Talk Talk revealed that it would be blocking the site as of January 2012, after a court order was issued. 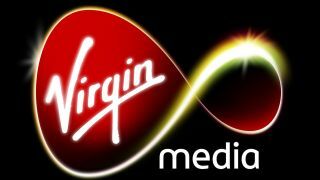 Virgin Media said that it would not be blocking the site until it too received a court order – something that has now happened. "We've received an order from the courts requiring us to prevent access to Newzbin in order to help protect against copyright infringement," the company's statement explains. "As a responsible ISP, Virgin Media complies with court orders addressed to us, but we strongly believe that changing consumer behaviour to tackle copyright infringement also needs compelling legal alternatives to give consumers access to great content at the right price." The statement is a similar one issued out to TechRadar when Virgin Media was once again asked by the courts to block a site; in this case it was the higher-profiled Pirate Bay. It said to TechRadar at the time that legal link-ups with the likes of Spotify is a better solution to tackling piracy, rather than blocking sites which offer up copyrighted content. On this occassion, a Virgin Media spokesperson told TechRadar that the reason it is so late to the block is that it only actually received the court order in July. And as for when the block will take place, it revealed that it is "coming soon". The Newzbin news comes just after Google revealed what it will be tackling the problem of online piracy by lowering the search rankings of sites that continually receive content takedown notices.